Knuckle Roughers and Chipbreakers are common profiles found on roughing end mills that, while fairly similar in appearance, actually serve different functions. 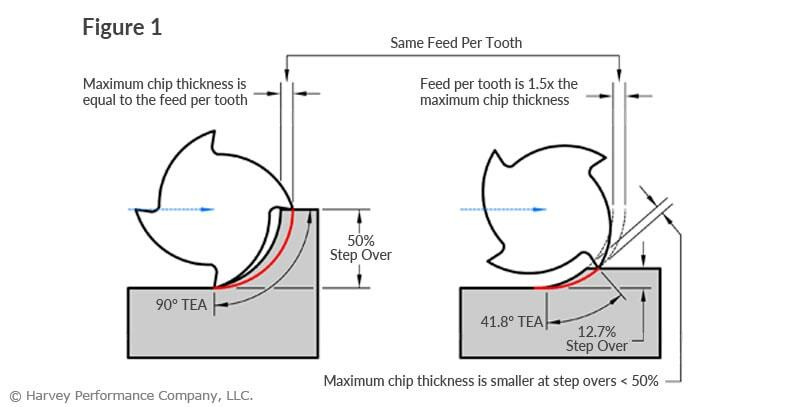 Chipbreakers refer to the notches along the cutting edge of a tool that work to break up chips to prevent common evacuation mishaps. Knuckle Roughers refer to the serrated cutting edge of a tool, which works to enhance cutting action for an overall smoother operation. 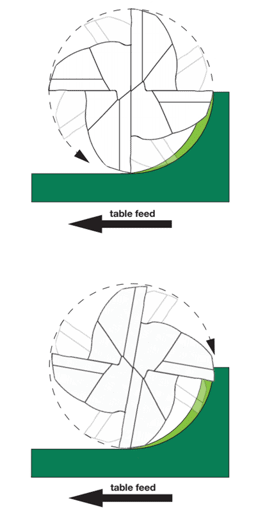 Determining the appropriate style of tool is a very important first step to a successful roughing application. 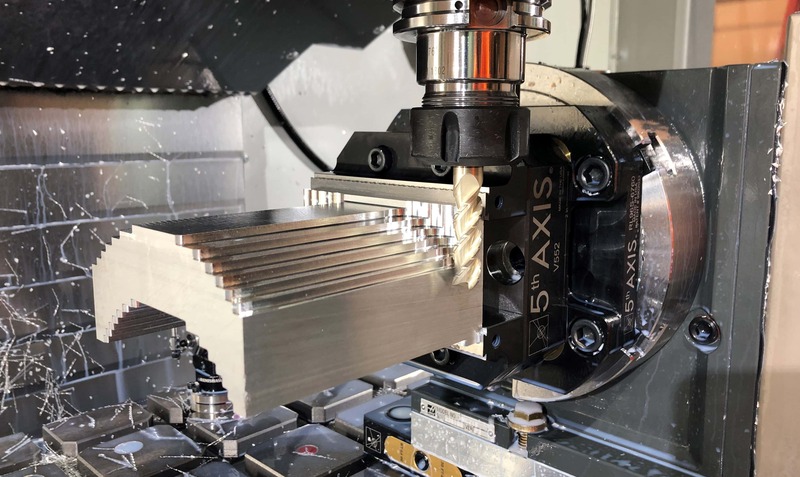 To aid chip evacuation, Chipbreaker End Mills feature a notched profile along the cutting edge that break down long chips into smaller, more manageable pieces. These tools are often utilized in aluminum jobs, as long, stringy chips are common with that material. Each notch is offset flute-to-flute to enhance the surface finish on the part. This works by ensuring that as each flute rotates and impacts a part, following flutes work to clean up any marks or extra material that was left behind by the first pass. This leaves a semi-finished surface on your part. In addition to improving chip control and reducing cutting resistance, these tools also help in decreasing heat load within the chips. 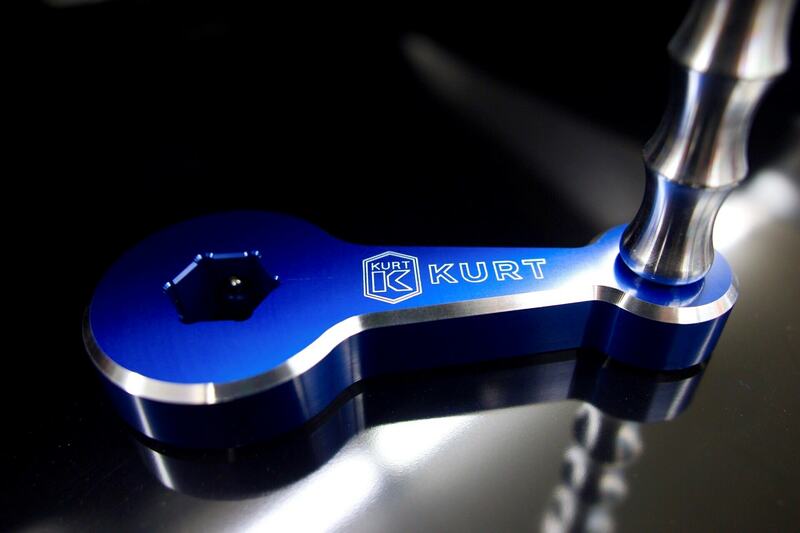 This delays tool wear along the cutting edge and improves cutting performance. 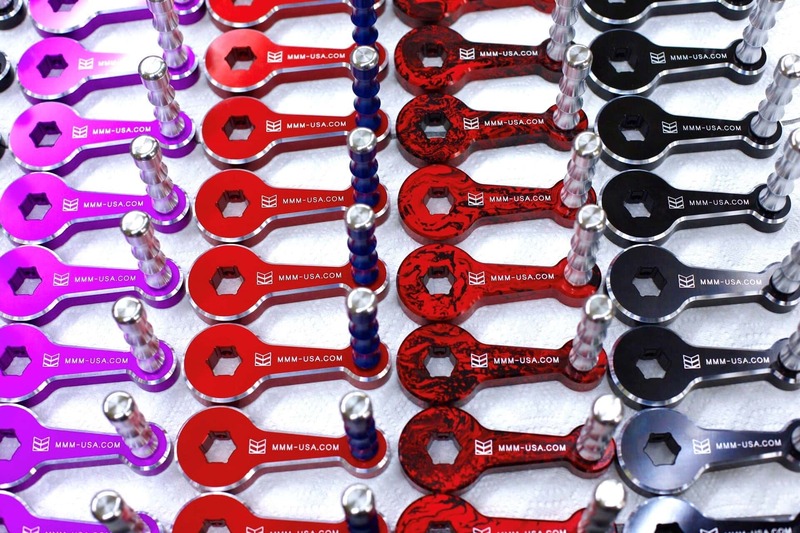 Not only are these tools great for hogging out a great deal of material, but they can be utilized in a wide array of jobs – from aluminum to steels. 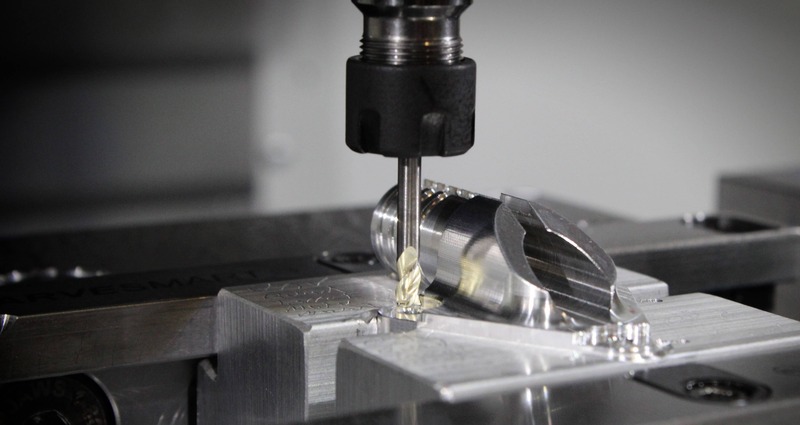 Further, a machinist can take full advantage of the unique benefits this tool possesses by utilizing High Efficiency Milling toolpaths, meant to promote efficiency and boost tool life. Knuckle Rougher End Mills have a serrated cutting edge that generates significantly smaller chips than a standard end mill cutting edge. 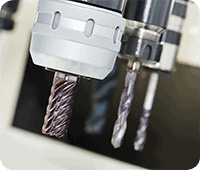 This allows for smoother machining and a more efficient metal removal process, similar to Chipbreaker End Mills. However, the serrations chop the chips down to much finer sizes, which allows more chips into the flutes during the evacuation process without any packing occurring. Designed for steels, Knuckle Rougher End Mills are built to withstand harder materials and feature a large core. Because of this, these tools are great for roughing out a lot of material. However, due to the profile on the cutting edge, tracks along the wall can sometimes be left on a part. If finish is a concern, be sure to come in with a finishing tool after the roughing operation. 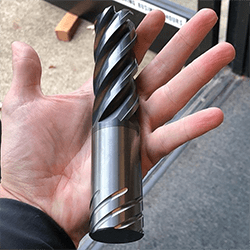 Knuckle Roughers have proven the ability to run at higher chip loads, compared to similar end mills, which makes this a highly desired style for roughing. 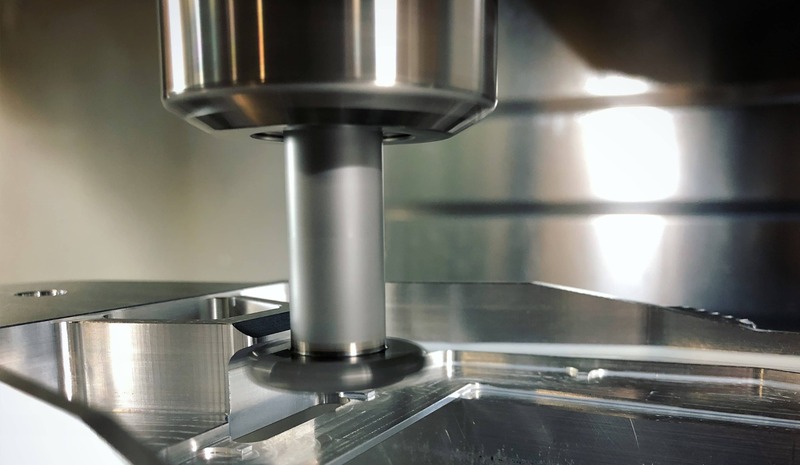 Further, this style of rougher causes a lot of heat and friction within the chips, so it’s important to run flood coolant when running this tool. While the two geometries offer similar benefits, it’s important to understand the distinct differences between them. Chipbreakers feature offset notches, which help to leave an acceptable finish on the walls of a part. Simply, the material left on an initial flute pass is removed by subsequent passes. A Knuckle Rougher does not feature this offset geometry, which can leave track marks on your part. 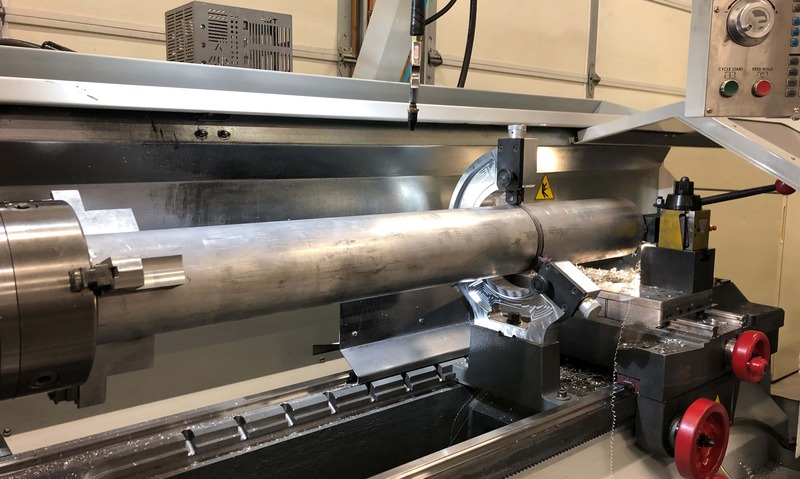 Where part finish is of upmost importance, utilize a Knuckle Rougher to first hog out a great deal of steel, and work a final pass with a Finishing End Mill. 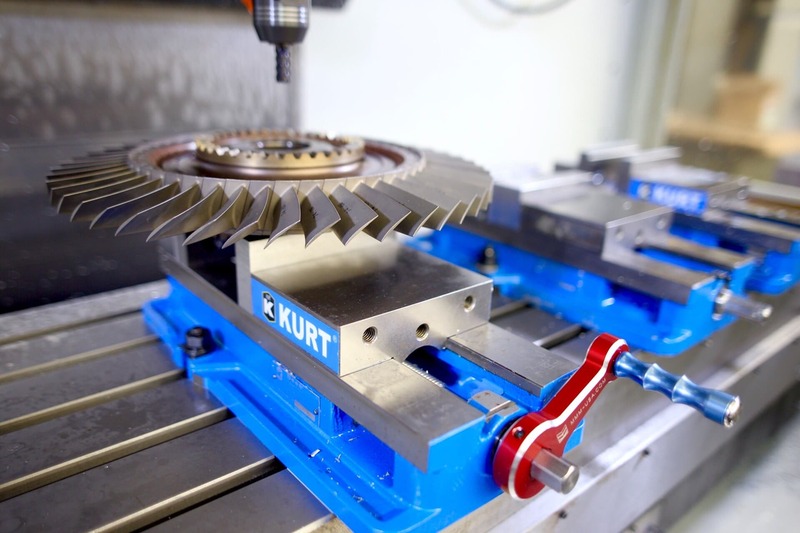 A unique benefit of Knuckle Roughers is the grind they possess – a cylindrical grind, compared to a relieved grind of a Chipbreaker End Mill. 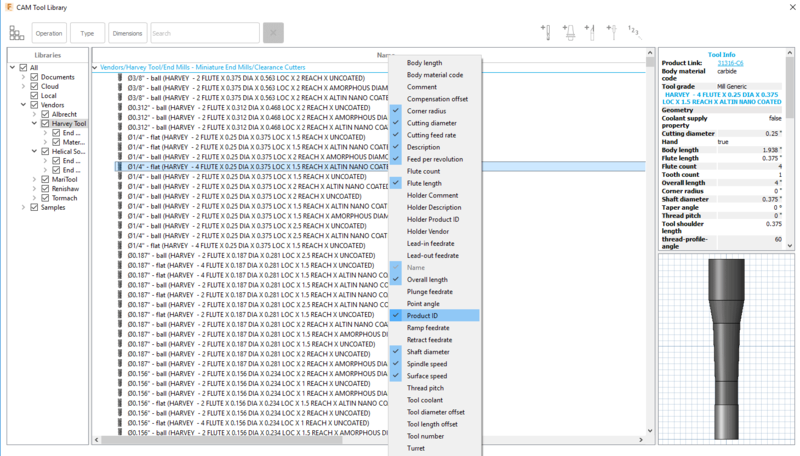 Because of this, Knuckle Roughers are easier to resharpen. Therefore, instead of buying a new tool, resharpening this profile is often a cheaper alternative. 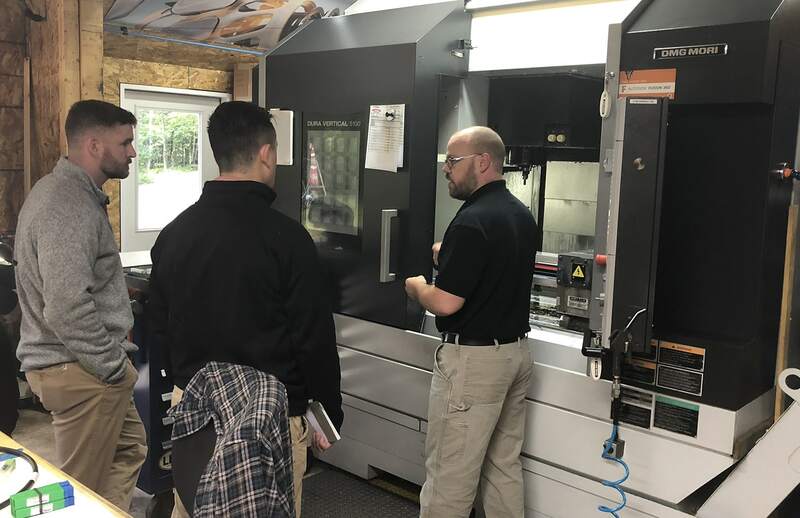 Liberty Machine, Inc. is a small Aerospace and Defense-focused machine shop located out of owner Seth Madore’s garage in Gray, Maine. 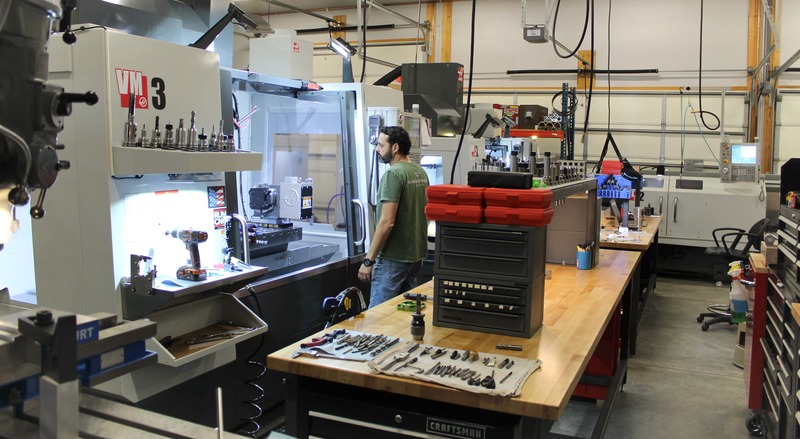 In just a few years, Liberty Machine has transformed from a side hustle into a full-fledged machine shop with customers all over the world. We were given the chance to visit Seth at his shop in Maine and interview him for this post. 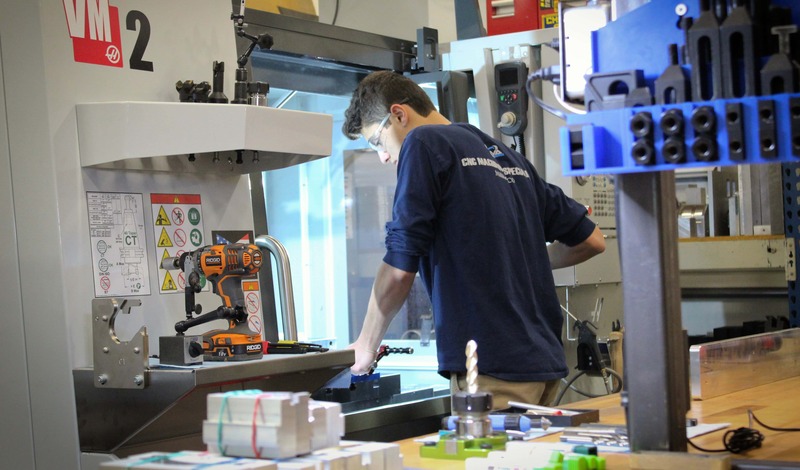 We picked Seth’s mind about entrepreneurship, the online manufacturing community, some interesting home construction choices made to accommodate a machine shop, and more. 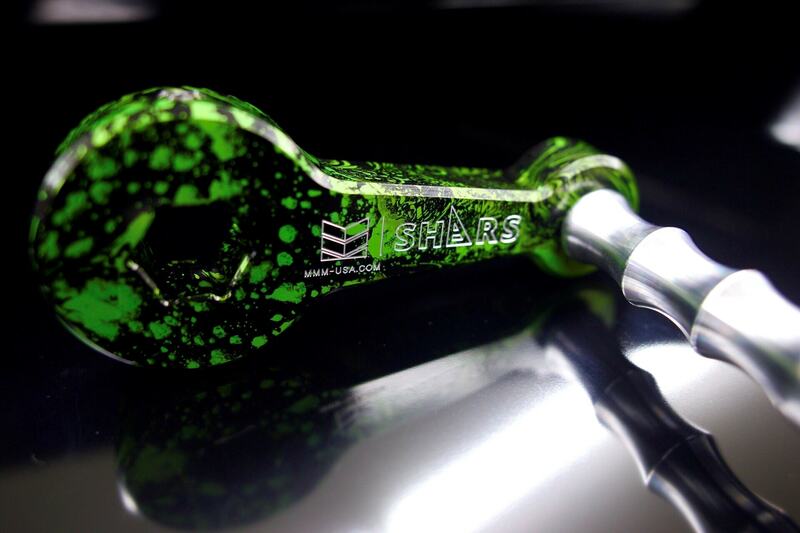 Thanks for having us come out and visit the shop for this Featured Customer post. 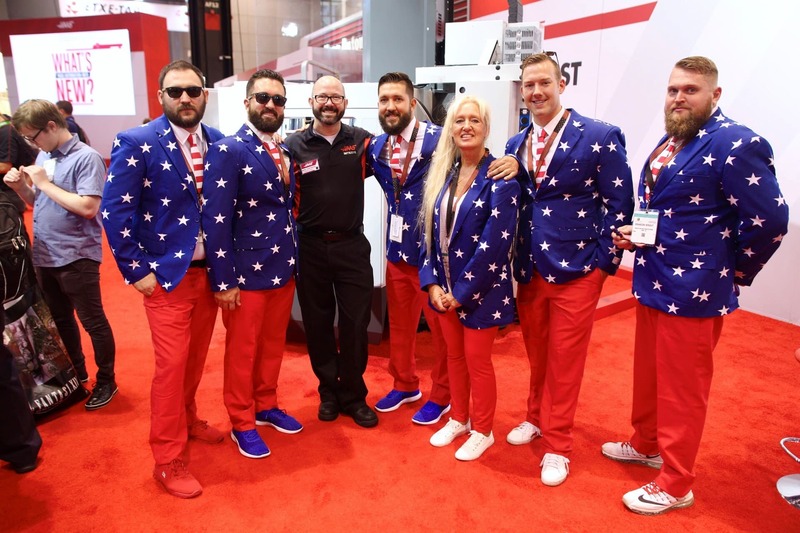 To get started, tell us a little bit about Liberty Machine’s history, and what sort of products you typically manufacture. I founded Liberty Machine, Inc. out of my garage about 6 years ago while I was still working full-time at one of Maine’s largest (and best) Aerospace and Defense shops. I was working close to around 80-100 hours a week, maintaining my full-time job as well as coming home and making chips in the evenings and weekends. 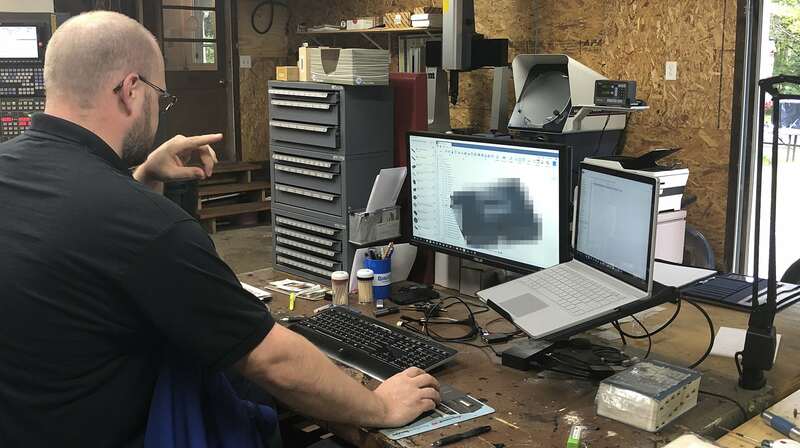 At first, I was doing a lot of smaller pieces and one-off parts, such as fixtures and prototype work to help build up a customer base and make enough money to eventually upgrade my machine. In the early years, I was using an old 1982 Matsuura MC-500 Mill that I picked up for around $6,000. I used that machine to generate enough cash flow and eventually pull the trigger on a 2015 DMG Mori Duravertical 5100 with a 4th axis, probing and high-pressure coolant which really allowed me to take on the type of aerospace and defense work I had been doing at my day job and make the leap into full time entrepreneurship in my own shop. Now, we have the capabilities to focus on aerospace and defense work for major clients all over the country. 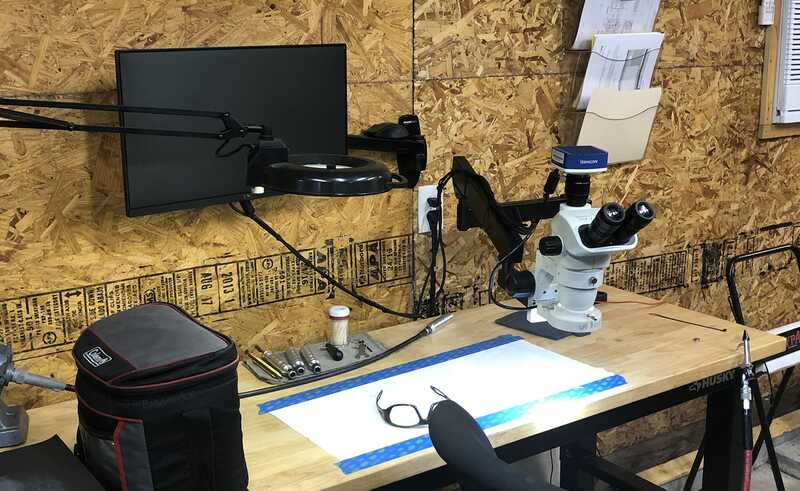 We are still working out of my garage, with myself and one other employee, but there are hopes for further expansion in the future as we acquire more work and expand our customer base. If you want to keep up with our shop, follow us on Instagram @liberty_machine! You have a great shop here and are definitely maximizing the space. How much square footage are you working with? Currently, we are working out of a 940 sq/ft shop. 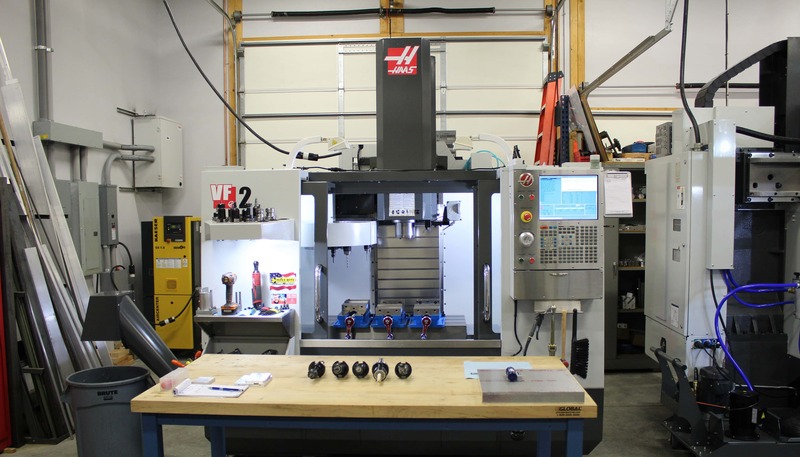 We “technically” have room for one more CNC mill if we really squeezed things together. I don’t think that is in the cards though; it is more likely that we will move to a larger space if and when the time comes for expansion. Heat management and air quality are real issues when working in small spaces with low ceilings, which is something we deal with currently. What sort of machines and software do you have here in the shop? For now, we have two VMC’s and a decent amount of inspection equipment. We have the DMG Mori machine I previously mentioned, as well as a 2016 Kitamura-3XD. 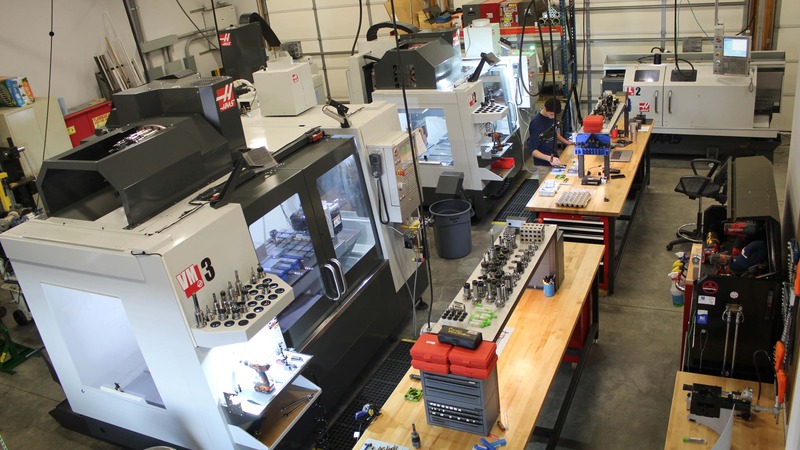 Both machines have 12k spindles, Renishaw probes, and feature coolant through spindles. 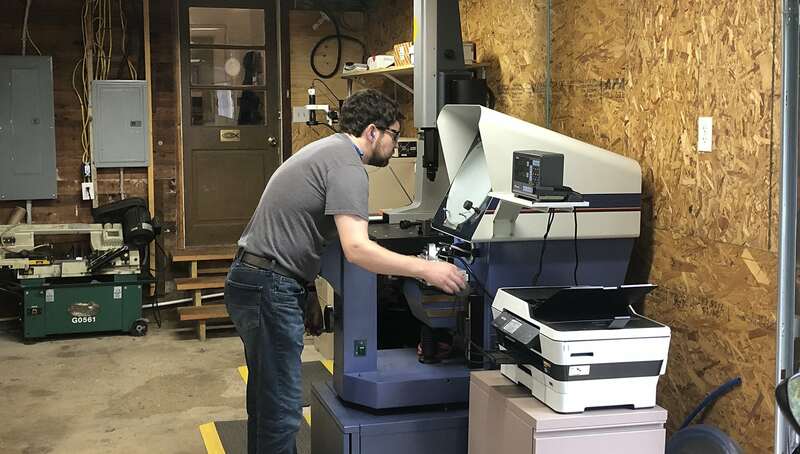 For inspection equipment, we have a 2014 Mitutoyo QM-Height 350 Digital Height Gage, a 2003 Brown & Sharpe Gage 2000 CMM with Renishaw MIP Articulating Probe Head, and a 2003 Mitutoyo PH-A14 Optical Comparator. We also recently acquired a Scienscope Stereo/Digital microscope. 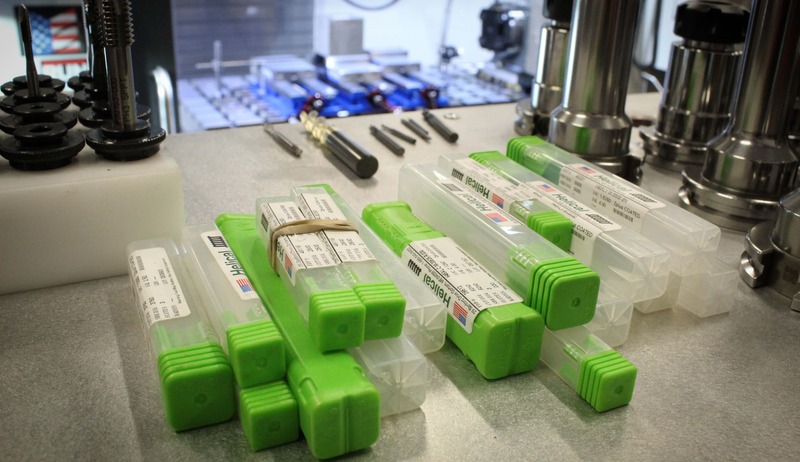 This allows us to perform visual inspection of our parts at an extreme amount of detail. 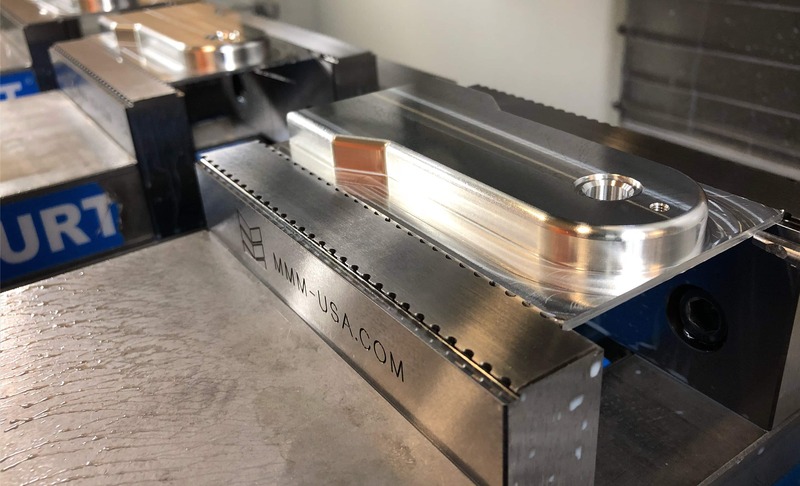 There are still holes in our inspection lineup, so we are always looking at adding onto what we do to provide our customers with quality machined products. 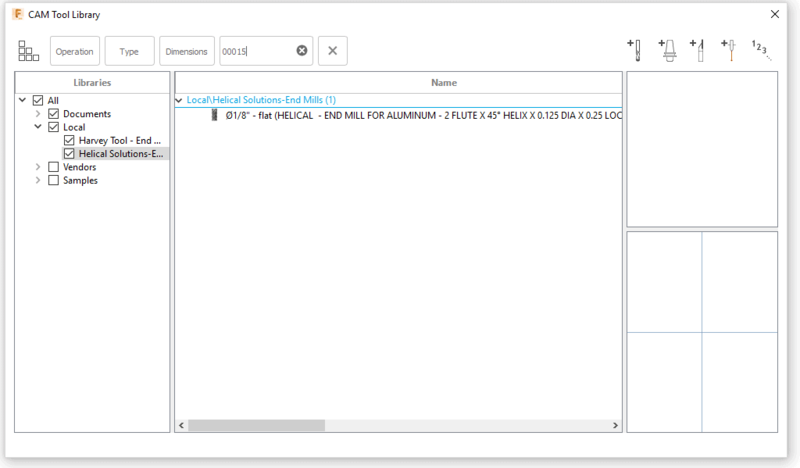 For CAD/CAM software, we use Autodesk’s Fusion 360 as well as Inventor HSM. 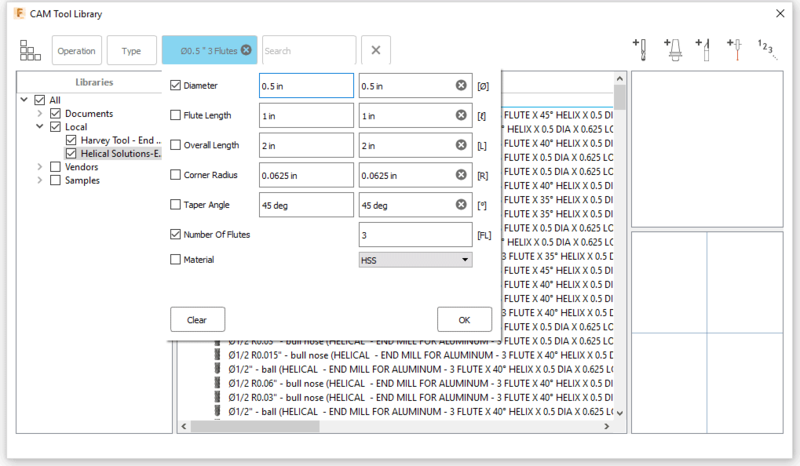 You mentioned using Fusion 360 for CAD/CAM. 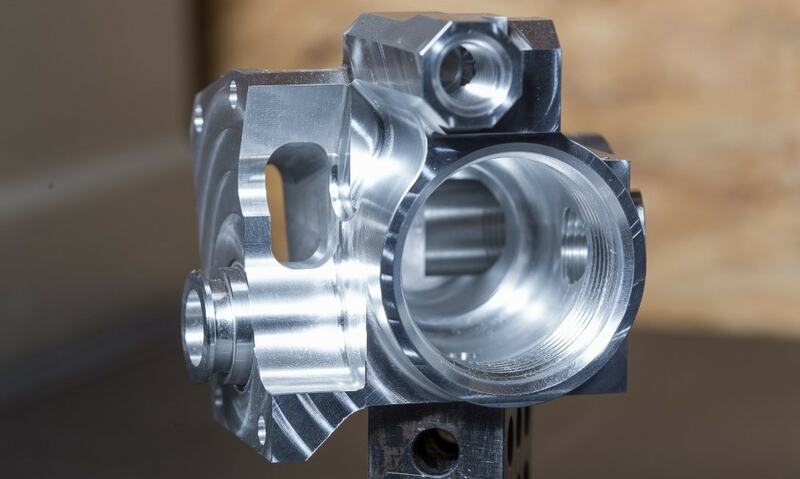 Some of our readers may know you from the Autodesk CAM forums as an “Autodesk Expert Elite.” How did that come together? About 4-5 years ago, I knew I needed a legal, supported, capable CAM solution. After several “30-day trials” of the more affordable packages, I stumbled upon Fusion 360. Having a fair amount of experience with Esprit and MasterCAM, I taught myself Fusion 360 in between running my shop and trying to spend what little time I had with my wife and children. Even though I had prior experience in other CAM packages, I still had lots of questions. I turned to the Fusion CAM Forums for assistance. The employees and other users were excellent to work with and got me sorted out quickly. After I became more comfortable with the Fusion 360 software, I decided to spend some of my free time helping others by answering their questions on the forums. I wanted to give back to the community that had helped me learn. Autodesk eventually took notice of my constant presence on the forums and granted me the title of “Autodesk Expert Elite,” an honor given to some of their most prolific community members and advocates. 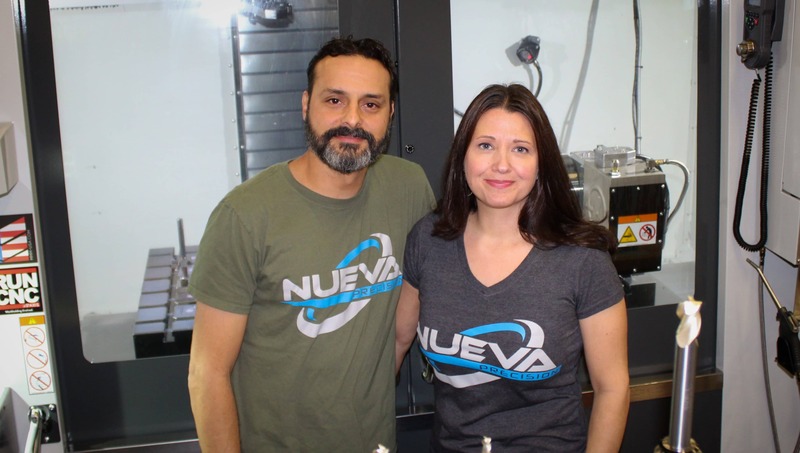 Now I work with them to help test new features, provide insight from a user’s point of view, and participate in events like Autodesk University. I will be honest – I never meant to end up working in manufacturing. When I was a teen, I had glamorous ideas about law enforcement, federal work and so forth. But, life doesn’t always work out that way (I met a wonderful girl and goals shifted, so I started looking for alternate career paths). My friend (future brother-in-law) was a machinist, so I started asking about his work and what it involved. He was working in a “job shop” using all sorts of cool machines and technology I had never really heard about. I was very excited about this career shift and I pursued it with fervor. 19 years later and I still LOVE this trade. The thing that intrigued me most about manufacturing, and the real reason I became so fixated on the trade, was the integral role the machinist plays in every aspect of manufactured society. I believe it is the most fundamental profession there is, and I take great pride in it. 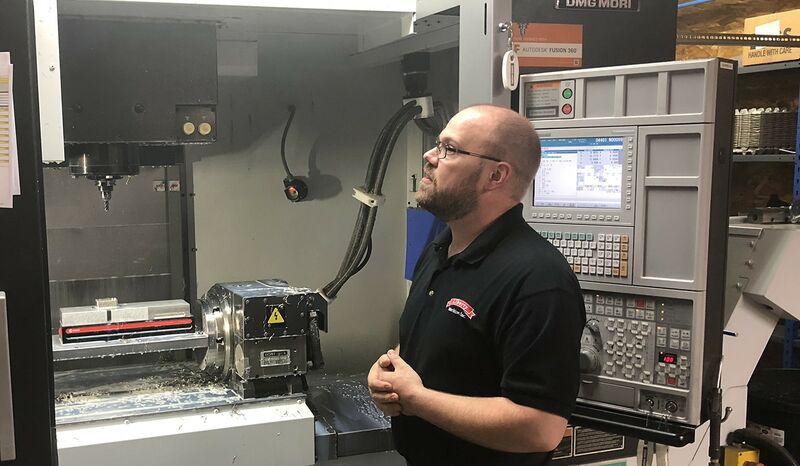 The evolution of the trade from manual machining to skilled programmers running CNC machines has always fascinated me as well and has kept pushing me to learn more and continue growing as a machinist. 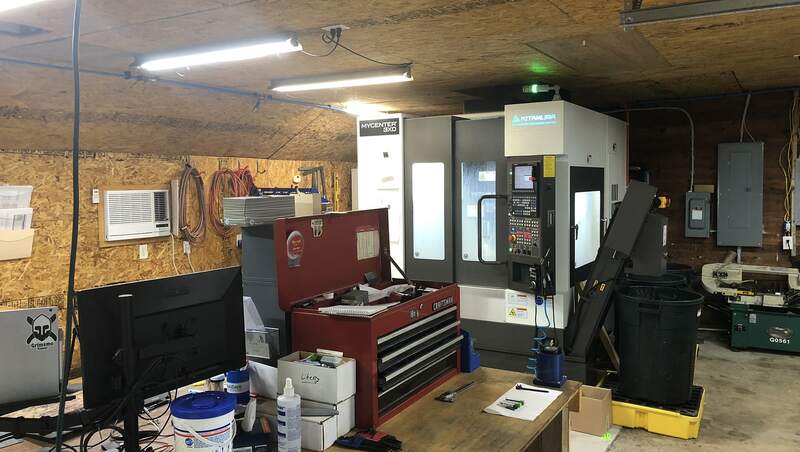 Is it true that you built an addition to your garage specifically for the DMG Mori machine? That is true! Before I bought the machine, I knew it was going to be too tall for my existing space, and was also going to need a solid foundation to sit on (it weighs 7 tons). Before the machine arrived, I had a concrete slab poured right against the side wall of the existing garage, and placed the DMG Mori on that slab. After a couple days of unfortunate rain and multiple layers of tarps covering the machine, I had several family members (carpenters by trade) help me build the addition. Ok…I helped them. 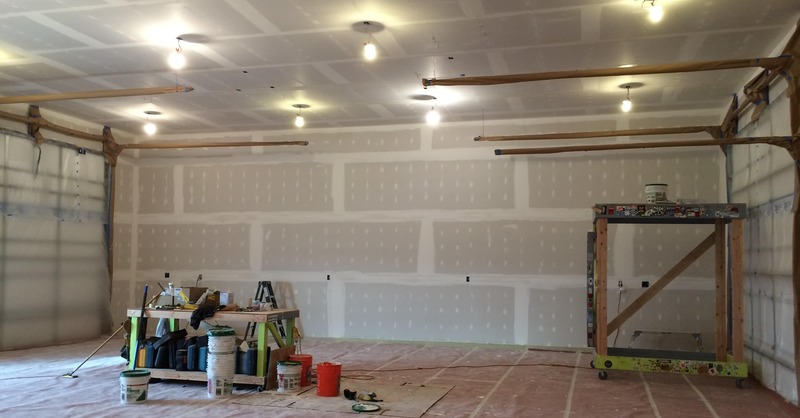 They were able to get it all framed and covered in just one day, breaking down the side wall of the garage and literally building the new space around the dimensions of the machine. Like they say, if there is a will, there is a way! Running a shop out of your garage must have been a challenge to startup. What were some of the growing pains you experienced as this shop was built out? On a professional level, the struggle was real. Two jobs, huge payments on the horizon, wondering where all the work (and money) is going to come from… As I mentioned, at that point, I was working 100 hours a week between the two jobs, and really feeling wiped out at the end of each week. However, the hard work did eventually pay off. Once I was able to get the DMG Mori and prove to customers that I had the capabilities to go full-time on my own, it was all worth it. Outside of that, there were the literal growing pains, like cutting holes in my garage ceiling to fit the column on the Kitamura machine, and of course, building an addition to house the DMG. But like I said, it was all worth it in the end to own my own shop. I’d say the best thing about working out of my shop (and for myself) is seeing my family on a daily basis. Yes, I still work 60-70 hours a week, but to have breakfast with them each morning before our day starts and have the flexibility to shift schedules around for doctor visits and other “life stuff” is worth its weight in gold. We are all so busy in life and I think we suffer as a society because of it. I want my children to know what it’s like to have a parent that is around. Busy, yes. But still present. You mentioned that you had used a lot of Harvey and Helical tools at your last job. 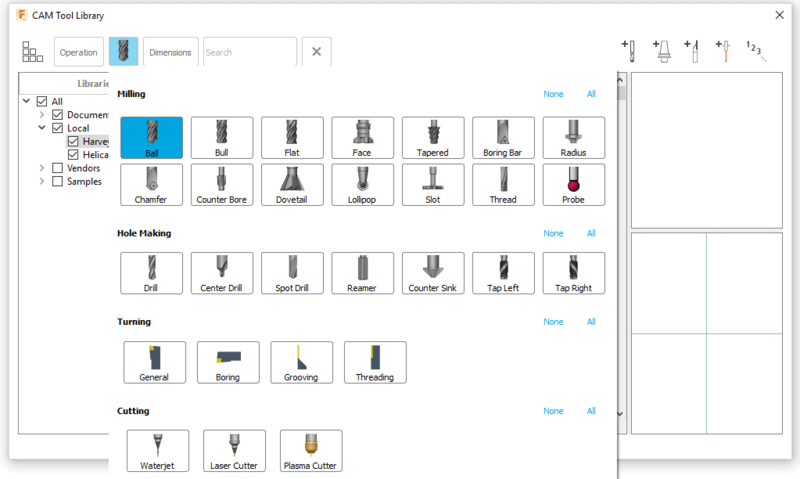 However, once you were on your own, you could choose any tooling you wanted to use. What made you stick with the Harvey Performance Company brands as your go-to tools? The thing with Harvey Tool and Helical products that keep me coming back is the consistency of quality. 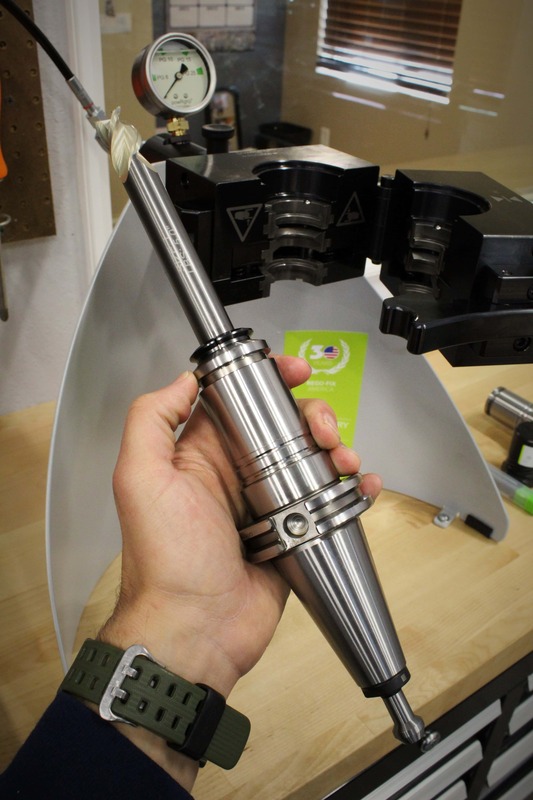 I know that when I buy one of these tools, I am going to get a high-performing tool that has gone through multiple levels of inspection and is consistently ground within the tight tolerances that were promised. 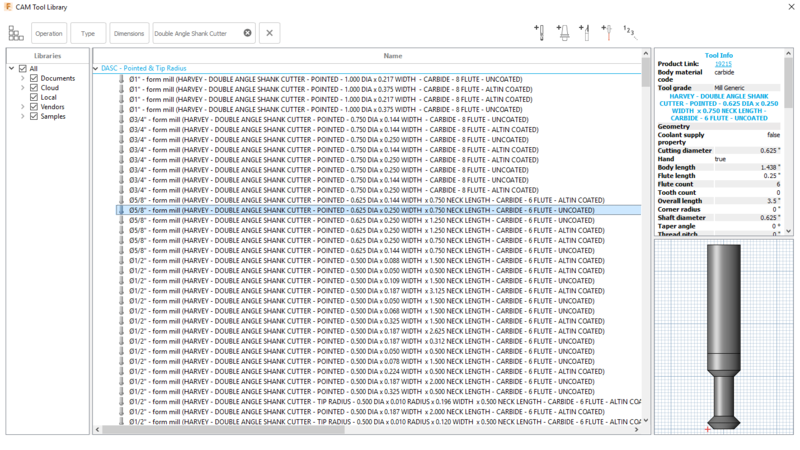 I honestly cannot remember a single time I have had to send any Harvey or Helical tools back for quality issues. I tell friends and others in the manufacturing community about the tools, and the hurdle is always getting them to look past the slightly higher cost. 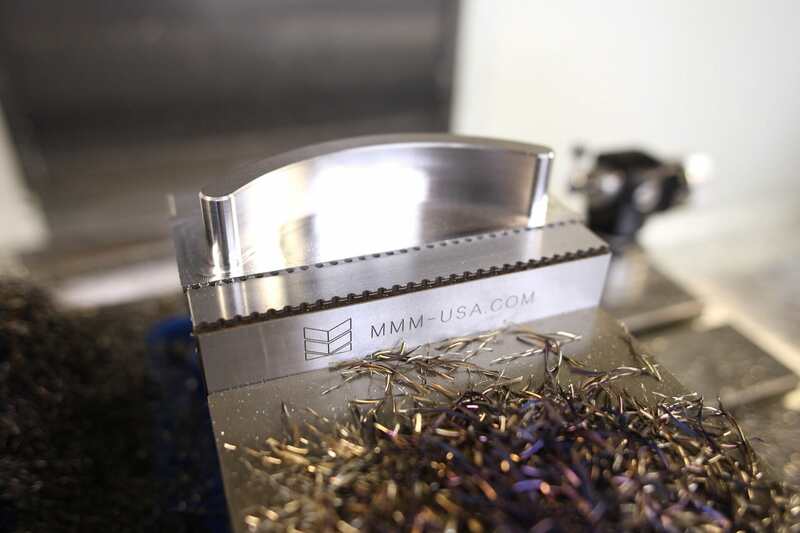 That additional cost is always worth the payoff in the end knowing that you have a tool that will produce quality parts and shave valuable minutes off your cycle times. The slightly higher cost of the Harvey/Helical product is small change compared to the long term cost savings associated with their performance. Can you remember a key moment where Harvey Tool/Helical products really saved the day? Truthfully, Harvey and Helical are my first thought when I’m looking at a challenging feature on a new part. If they offer something that looks like it will work, I don’t even look for an alternative. Order it, get it in house. 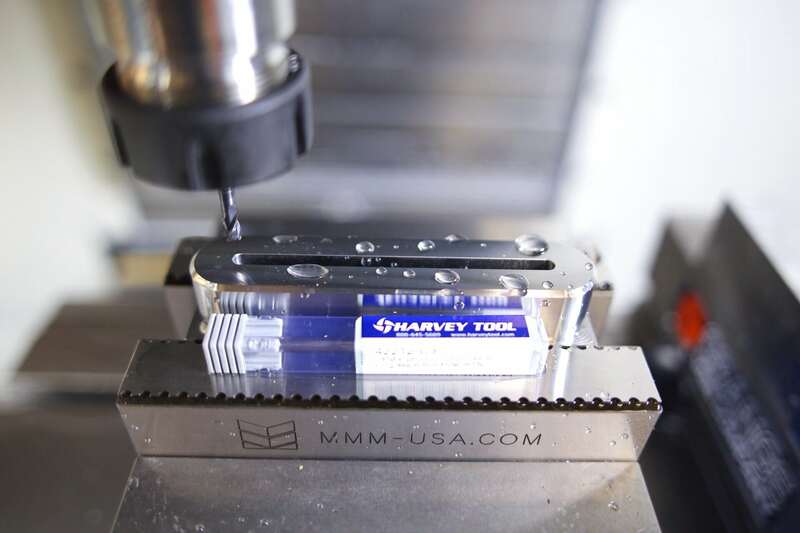 I’d say where Harvey helps the most is their awesome selection of long reach/stub flute end mills for stainless steel. I cut so much of that, so it’s great to have a vendor stock what is truly needed. Would you recommend entrepreneurship to other young machinists hoping to open their own shop some day? Yes! But like all things in life, “It depends.” Entrepreneurship is certainly not for everyone. The amount of work required to get a shop rolling and out of “crisis-mode” is insane. There is no other term for it. If you have a significant other in your life, MAKE SURE they are on the same page as you. I am blessed to have a wife by my side who sees the end goal and is understanding of the sacrifice needed in the short-term for the long-term benefit of our family. What advice might you want to give to someone starting in this trade? Don’t stop learning. Keep your ears open and your mouth shut. That old guy in the shop has likely forgotten more than you will ever learn. The amount of tools in your Kennedy box doesn’t mean you’re a good machinist. Some of the best toolmakers I knew had small boxes with only the common tools. Learn how to excel with limited resources. Ask questions, and own up to your mistakes.